Despite even the best preventive health care plan, pets can become ill or get injured. When this happens, you want to find the best care possible. Dr. Holland and the entire veterinary team at Park Lane Veterinary Hospital provide the best possible care for your pet in a compassionate and loving environment. 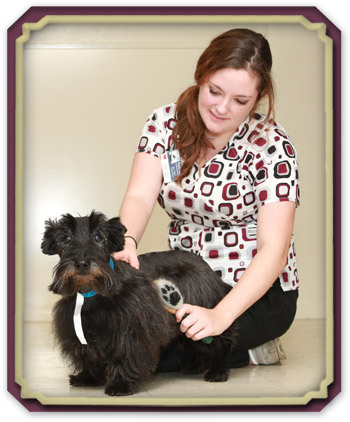 To maintain our high standards, we offer a broad range of veterinary services to our patients. Whether your pet is a playful puppy or a cat entering the golden years, he or she receives the best care possible at Park Lane Veterinary Hospital. Sometimes one of the frustrations of dealing with a sick pet is that you cannot simply ask him/her what is wrong. Therefore, Park Lane Veterinary Hospital has invested in the latest advanced diagnostic technology. When your pet is not well, we need to find out what is wrong. After performing a thorough examination, a series of diagnostic tests is often necessary in order to identify the medical condition. The veterinary staff at Park Lane Veterinary Hospital is knowledgeable and has a large amount of expertise in diagnosing and treating complex internal medicine cases such as kidney, heart, respiratory, immune-mediated, and endocrine diseases. These problems can indicate a serious dermatological or allergic reaction to allergens such as fleas, pollen, dust, and various foods. If you notice any of these symptoms, it is important that you bring your pet in to Park Lane Veterinary Hospital for an evaluation. If left untreated, these problems can become severe medical concerns. At Park Lane Veterinary Hospital, we take the time to explain your pet's condition, how to prevent future occurrences and the proper method of treatment. Glaucoma doesn't only affect humans; your pet can develop this condition, too. Dr. Holland and her team at Park Lane Veterinary Hospital are skilled at identifying the early signs of this dangerous eye condition. Glaucoma is a condition in which the fluid pressure inside the eye increases to a point where the optic nerve is damaged, causing loss of vision and blindness. Glaucoma is relatively common in animals. Chronic glaucoma can develop as your pet ages and acute glaucoma can develop as the result of an injury or illness. In many cases, glaucoma can progress quite rapidly — especially when it is the result of injury or underlying illness — and is considered an emergency situation. Due to the severity and incidence of glaucoma, we recommend that your pet be checked regularly for this disease. A routine glaucoma exam is not only an effective screening measure for chronic and acute glaucoma but can also help set a baseline measurement. Setting a baseline measurement is important because normal intraocular pressure (IOP) can vary between species, breeds, and even individual pets. At Park Lane Veterinary Hospital, we use an instrument called a tonometer to measure the fluid pressure inside your pet's eyes. 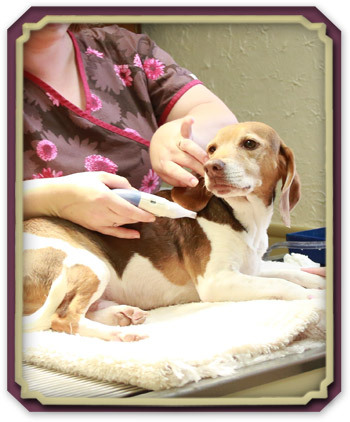 This is a noninvasive, simple procedure that should not cause your pet any pain or discomfort. We apply a mild anesthetic eye-drop to ensure your pet is comfortable during the exam. Behavior problems are the number one reason that owners give up a pet. Park Lane Veterinary Hospital offers behavior counseling for many of your pet's problems including inappropriate urination or defecation, aggression, separation anxiety, inappropriate chewing and barking, and introduction of new pets into the household. Often a behavior problem, such as inappropriate voiding, can be linked to a medical issue (cystitis, bladder stones, and kidney disease). 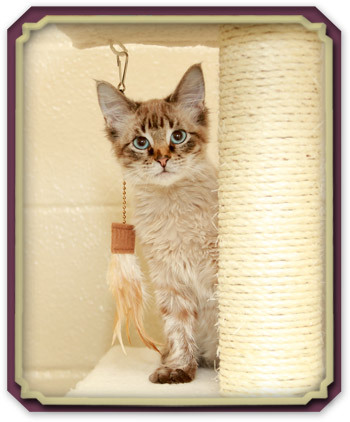 Park Lane Veterinary Hospital maintains an extensive library of information about behavior problems. Our highly-trained veterinary staff can help you recognize, validate, and categorize behavior problems. We work closely with you in developing a specific plan to help eliminate your pet's unwanted behavior. The treatment plan often includes behavior modification and medication-assisted training. If Dr. Holland and our medical team cannot help with your pet's behavior problem, we can refer you to a board-certified animal behavior specialist. The word cancer strikes fear in all of us. However, with new advances in veterinary medicine, many pets are living longer with a greatly improved quality of life. Treatment also depends on the type and location of the cancer. If possible, surgical removal of the tumor is recommended. Some types of cancer are responsive to chemotherapy, which include a variety of oral and injectable drugs. Dogs and cats tend to tolerate chemotherapy well and rarely develop side effects similar to humans. Park Lane Veterinary Hospital is certified in stem cell therapy, which is used for the treatment of pain associated with osteoarthritis in dogs and cats. Stem cells have the unique ability to mature into cells with specialized functions. This makes them extremely valuable for repairing certain body tissues damaged by injury or disease. We use stem cells as an effective therapy for the treatment of arthritis and joint disease. Pets are living longer, healthier lives than ever before, supported in large part by our expanded knowledge connecting proper nutrition with overall good health. In fact, nutrition is the biggest health variable controlled by a pet's caregiver. During your pet's annual wellness exam, Dr. Holland can assist you with information on proper serving size and other feeding strategies so your pet can maintain his/her optimal body weight and nutritional health. We can also help you navigate through pet food producers' claims so you can make the most informed nutritional food choice for your pet. Most cheap commercial pet foods contain filler ingredients and low-grade proteins. It is best to feed your pet a food that is denser, richer in nutrients, and without the added bulk. A high quality food provides more nutrition and has calories and fats formulated to fit the needs of your specific dog or cat. Some pets have more serious nutritional challenges or chronic conditions that can benefit from a special diet. If your pet is diagnosed with a specific condition, we may recommend feeding a special prescription diet. Prescription diets benefit medical conditions such as liver disease, bladder and kidney stones, renal failure, food allergies, diabetes, and more. 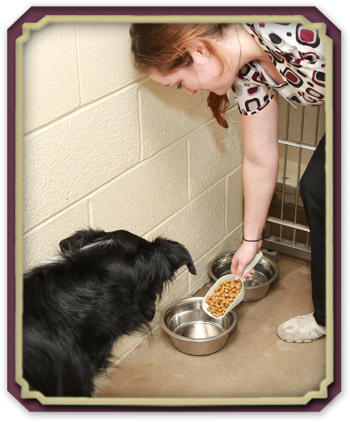 Park Lane Veterinary Hospital carries prescription diets by Hill's and Purina in our in-house pharmacy. If your pet requires a prescription diet we do not carry, we can easily order it for you.